Tax Mitigation (Legal) vs Tax Avoidance (Illegal) – How to make sure you aren’t breaking a law. As the old saying goes, there are only two constants in life – death and taxes. Whether you are a budding entrepreneur running your own business, or just an individual trying to cut down on expenses, minimizing taxes is a key objective we all pursue. Yet, it inevitably begs the question – to what extent can we try to reduce taxes without breaching the law? On one hand, you have tax mitigation – a perfectly legal way of minimizing taxes through the use of tax laws. Conversely, you have tax avoidance – which involves the reduction or elimination of taxes in an unlawful way. Theoretically different, yet practically difficult to differentiate. Indeed, there have always been grey areas when it comes to tax mitigation and avoidance for companies and individuals in Singapore. This is especially considering that Singapore adopts a general anti-avoidance rule (“GAAR”) which is embodied in section 33 of the Income Tax Act. What this means is that even though your arrangement seemingly does not explicitly breach any tax rules, if Inland Revenue Authority of Singapore (‘IRAS’) believes its key purpose is to reduce tax, your arrangement may likely be disregarded, and your intended tax savings wiped out. Until recently, there were no local cases which dealt with s 33. However, with the landmark case of Comptroller of Income Tax v AQQ and another appeal  SGCA 15 (“AQQ”), IRAS subsequently released an e-Tax guide regarding the application of the GAAR, which adopted the principles laid down in AQQ. We are seeing tax evasion prosecutions rise worldwide, with various high-profile tax cases such as that of Apple. Rising international attention on tax affairs of companies worldwide has led many governments to relook the sufficiency of their domestic GAAR in targeting exceedingly aggressive tax-saving arrangements. This is particularly more pressing for resourced-strapped governments who need the tax funds. Against this backdrop, if you are currently restructuring your tax arrangements, it is more crucial than ever to ensure that you are complying with Singapore’s tax codes, or risk having your tax savings wiped out and facing potential lawsuits. Here, we will break down for you the key takeaways you need to know regarding the current standing of s 33 – the GAAR, and how to ensure you aren’t breaking the law. In the case of AQQ, the Court set out the following steps in ascertaining whether s 33 applies to an arrangement. Reduces or avoids any liability imposed or which would otherwise have been imposed. In determining whether any of these three conditions is satisfied – you should adopt the ‘predication principle’. The prediction principle means that you should consider whether a reasonable person would, observing from the outside, infer that the arrangement was specifically implemented that way so as to obtain the tax benefit from any of the three above-mentioned conditions. None of your main purposes for the arrangement is the avoidance or reduction of tax. In these instances, s 33 would not apply. In the case of GBF v Comptroller of Income Tax  SGITBR 1 (“GBF”) – the only other case in Singapore involving this section – a medical doctor, entered into a series of transactions that ultimately resulted in his income from his medical practice being transferred to two corporate entities, which provided substantial tax savings. He argued that the arrangement was made for commercial reasons in good faith. However, considering the inferences drawn from the objective evidence, and the features of the arrangement, not to mention his inability to provide supporting documentation and evidence, the taxpayer’s appeal was dismissed with costs. Step 3: Check if the tax advantage you obtained arose from the use of a specific provision in the Act. When obtaining a tax advantage by relying on a specific provision in the Act, you must be able to show that it was within Parliament’s intended scope and contemplation that such a tax advantage could be achieved. The nature and extent of the financial consequences that the arrangement has for you and the other relevant parties. Examples of tax avoidance arrangements – Check that your arrangement isn’t any! There are several methods of avoiding tax that are NOT ALLOWED. In a circular flow of funds, there is usually no change in the financial position of the taxpayer. A key characteristic of such an arrangement is that a payment which accords a tax deduction to one party (Party A), is flowed directly or indirectly from that party to another related party (Party B) as a non-taxable receipt. What this means is that Party A ends up paying less taxes (because it can claim a tax deduction from paying Party B), and Party B ends up not paying any taxes even though it receives the payment. Effectively, this is a double whammy for the tax authorities and not surprisingly, the IRAS is highly likely to view such an arrangement with considerable suspicion. The setting up of more than one entity, which would not have been carried out if not to reduce or avoid tax, is considered tax avoidance. This is usually designed to maximise a tax benefit granted based on various schemes, such as the Tax Exemption Scheme for New Start-up Companies (‘SUTE’) or the partial tax exemption (‘PTE’) scheme. For instance, by restructuring your business such that your income is now split among three new entities, all three entities may qualify for SUTE. However, if there are no commercial reasons for the restructure, eg all owned by the same shareholder, no distinct business plans, no operations, operating largely as the same business with same pool of staff, assets, and premises, this would likely amount to a tax avoidance arrangement. Where there is a change in the form of a business entity with no valid business reasons, this may suggest that the use of a different form of business entity is merely to exploit a specific tax benefit conferred to that form. How the income is attributed before and after the conversion. For instance, by restructuring your business to a partnership and conducting all business through a partnership with no commercial reasons apart from exploiting the tax benefit under the SUTE scheme, this would amount to a tax avoidance arrangement. This refers to the assignment of income from one person to another. If the assignment is not supported by any economic basis – if the party receiving the assignment of income has not done anything to merit a receipt of the income, this may be invalid. For example, A and B are parties to a service contract where B is to be paid by A for services rendered by A to B. For apparently no main commercial justification, B then assigns the fees to C instead as C is in a position to set off certain expenses or past losses against the fees, and hence not pay any taxes. At the end of the day, A will pay C directly. A can claim the fees as expenses to reduce its tax liability while C does not pay any taxes. Such an arrangement will likely be considered by the authorities as tax avoidance. Extent of each party’s responsibility in making key decisions in the running of the business. While not exhaustive, these guidelines provide a good overview of where the current law stands regarding s 33. Consider if your arrangement falls within any of the above examples of tax avoidance. If your arrangement falls within neither, apply the 3 steps as laid out in AQQ. Need legal advice on tax mitigation from a lawyer? Still unsure? 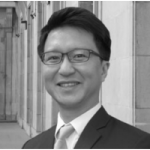 If you would like to get legal advice on your tax-saving arrangements or any other legal matters from Kah Hee, you can book a Quick Consult with him here. With an AsiaLawNetwork Quick Consult, Kah Hee will call you back within 2 days for a transparent, flat fee starting at S$49 to give you practical legal guidance and advice. This article is written by Lau Kah Hee from Derrick Wong & Lim BC LLP and edited by Clarice Ch’ng from Asia Law Network.